The MIHCE achieves recognition as a Continuing Professional Development provider for RACGP. The MIHCE has successfully achieved formal recognition as a Continuing Professional Development provider by the Royal Australian College of General Practitioners as part of their RACGP QI&CPD program. The MIHCE will now be recognised by General Practitioners throughout Australia as a provider of high quality educational programs. 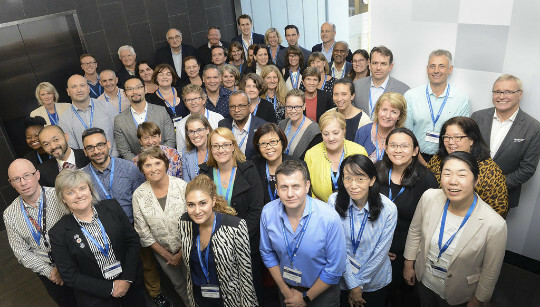 We look forward to working with RACGP to promote excellence in quality improvement and continuing professional development to General Practitioners throughout Australia and internationally. In January, during the International Meeting for Simulation in Healthcare, Debra became a Fellow of the Academy, Society for Simulation in Healthcare (SSH). The Academy recognises individuals whose sustained contributions have had an impact on the field of healthcare simulation. Debra has led the NHET-Sim Programme since it's commencement. She is Editor-in-Chief, Advances in Simulation, advancesinsimulation.biomedcentral.com/, an open access journal of the Society in Europe for Simulation Applied to Medicine. She has edited a book on Simulated Patient Methodology and will shortly publish a book on healthcare simulation. 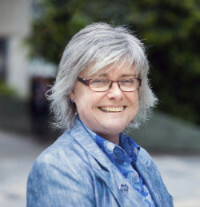 Debra is Co-Chair of the Simulation Committee, Association for Medical Education in Europe, and has held leadership roles with Simulation Australasia. Debra has established a simulated patient network, http://www.simulatedpatientnetwork.org/. Debra is the only Fellow of the Academy who lives and works in Australia. She is pictured here receiving the award from the Immediate Past President of the SSH, Dr Chad Epps, the current President, Dr Christine Park and the President Elect, Dr Joe Lopreiato. The MIHCE in collaboration with the Harvard Macy Institute, Harvard Medical School. Boston USA, has graduated two Leadership and Innovation in Health cohorts, the most recent in February, 2017. The scholars enjoyed a week of collaboration with the course faculty and peers to understand and use design thinking processes to develop innovative ways to meet the healthcare needs of the community. The course attracts Scholars from all over Australia and internationally, including New Zealand, Japan, USA, Malaysia, Singapore, UAE, Indonesia, Brunei, USA. Following Harvard Macy Institute tradition, seven scholars from the 2016 course returned as faculty, assisting with small and large group teaching across the week. 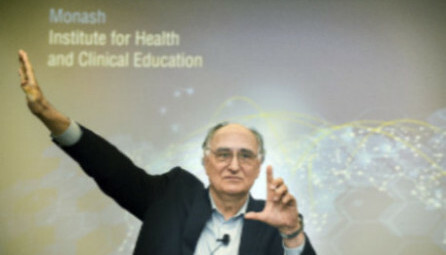 As part of our collaboration with the Harvard Macy Institute, the MIHCE sponsors one academic staff member each year from the Faculty of Medicine, Nursing, and Health Sciences to attend one of the courses offered by the Harvard Macy Institute in Boston. Course details can be found at http://www.harvardmacy.org The MIHCE sponsorship will cover the full course fee for your selected course. Travel and accommodation costs are not included. If you are interested in this offer for 2018, please contact mihce-inquiries@monash.edu. Selection is based on timely application, a short description on how your attendance at your chosen course will enhance your work within the Faculty of MNHS, capacity of your proposed project to advance education at Monash, confirmed support to attend from your Head of School or Department, and demonstrated capacity to finance the travel and accomodation aspects not covered under the MIHCE sponsorship. The MIHCE also requests that on your return from Boston, you provide a testimonial on your experiences and learning from the course you attended, collaborations formed, and other outcomes that have impacted or will impact your professional work. The inaugural sponsored staff member for 2017 is Associate Professor Claire Palermo from the Department of Nutrition and Dietetics. Claire will be attending the Leading Innovations in Health Care and Education course in June this year. In January the MIHCE, working with the Office of Global Engagement, signed agreements with the United Arab Emirates Ministry of Health and Prevention and the Almaarefa College for Science and Technology for the exclusive delivery of health executive education courses in the UAE and Saudi Arabia (KSA). The MIHCE and the Department of General Practice are delivering for the second time, the Shenzhen GP Training Program to two groups of General Practitioners visiting from Shenzhen in June and September 2017. The MIHCE is proud to announce the commencement of Ms Louise Allen, our first PhD candidate. Louise is exploring the impact of the MIHCE and Harvard Macy Institute, Boston courses on Scholars' professional careers under the supervision of Prof. Margaret Hay (Director, MIHCE), Prof. Elizabeth Armstrong (Director, Harvard Macy Institute, Boston), and A/Prof. Claire Palermo (Department of Nutrition and Dietetics). 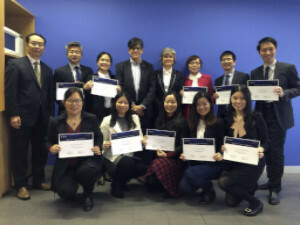 Louise was a recipient of a Monash Faculty Postgraduate Excellence Award. These prestigious awards are offered by MNHS to the top eight scholarship applicants who have demonstrated outstanding academic merit and research potential. We are thrilled to have Louise in our team, and look forward to her important research contributions. Hay, M., Mercer, A.M., Lichtwark, I., Tran, S., Hodgson, W.C., Aretz, H.T., Armstrong, E.G., & Gorman, D. (2017). Selecting for sustainable workforce to meet the future healthcare needs of rural communities in Australia. Advances in Health Sciences Education, 22 (2), 533-551. Gorman, D., & Hay, M. (2017). Ensuring Australians’ healthcare birthright - learnings from those we teach. Editorial. Internal Medicine Journal, Manuscript ID IMJ-0138-2017. Accepted 28/02/2017. Palermo, C., Dart, J., Gibson, S., Whelan, K., & Hay, M (2017) A Programmatic Assessment of Competence in Dietetics: A New Frontier. Journal of the Academy of Nutrition and Dietetics. 117(2), 175-179. Hay, M.,Lichtwark, I., Metcalf, J., & Henry, S. (2017). The influence of first language, gender and age on Situational Judgement Test Scores (SJT) in nursing interns. Research presentation. AMEE Conference, Innovating in Education. 26th – 30th August, Helsinki, Finland. 2017-2018: $100,000. Hay, M., Shulruf, B., Linn, A., M. Lichtwark, I., & Henry, S., A Multicentre Study to Determine the Utility of a Situational Judgement Test (SJT) in Undergraduate Medical Student Selection in Australia. UMAT Consortium Research Fund. Wound Care Management courses for Nurses and Pharmacist are currently in development. Visit the MIHCE website for updates. 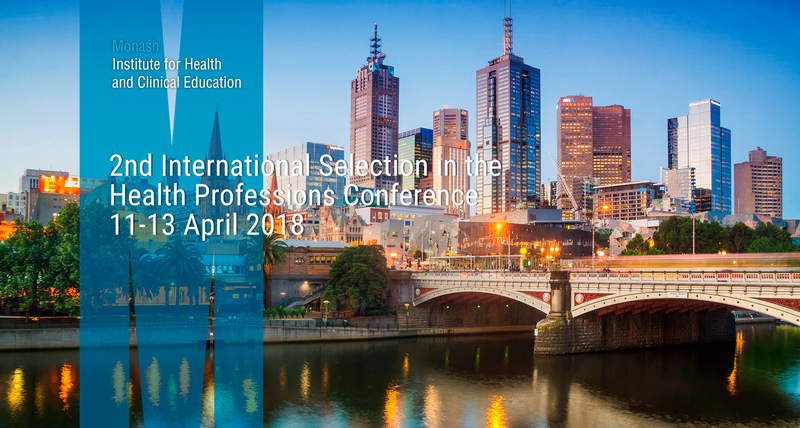 The MIHCE, in association with INReSH (International Network for Researchers in Selection into Healthcare), an ASME (Association for the Study of Medical Education) extend a warm invitation to the second international Selection for the Health Professions Conference. The conference will be held in the vibrant city of Melbourne, recently judged the world’s most liveable city for the sixth consecutive year. This conference will appeal to academics, clinicians, administrators and students across a broad range of health professions.